Elgin City manager Jim Weir felt his side should have taken something from Galabank after the Black and Whites crashed to their third defeat on the spin. David McKenna scored the match-winning goal for Annan after just five minutes and Weir was disappointed City were unable to take something from the match despite having plenty possession and a series of decent chances. He said: “We deserved something from the game but we had another slow start, which has ruined our last three games. Annan, who had Christian Nade playing as a trialist, went ahead with their first chance of the match after five minutes when McKenna held off Darryl McHardy and prodded the ball beyond goalkeeper Mark Waters. Elgin’s Chris McLeish then had a couple of chances but was denied by goalkeeper Blair Currie before shooting over from the edge of the box. McKenna shot wide from a Rabin Omar cutback and then Nade headed just wide from a Darren Ramsay free kick. McLeish smacked an angled half-volley off the underside of the bar on the half hour. City had a let-off three minutes before the break when Omar sent a free header over from six yards out. The visitors were relieved again when McKenna had a goal ruled out for offside on the hour mark. However, they finished the match on the front foot, with Kieran Stewart, McHardy, Brian Cameron and Chris Dodd all going desperately close to forcing an equaliser in the last half hour. Weir added: “Annan spent the last half-hour defending their goal but we found them hard to break down. The defeat saw City drop from second to fourth place as they missed the opportunity to capitalise on more dropped points from leaders Forfar. 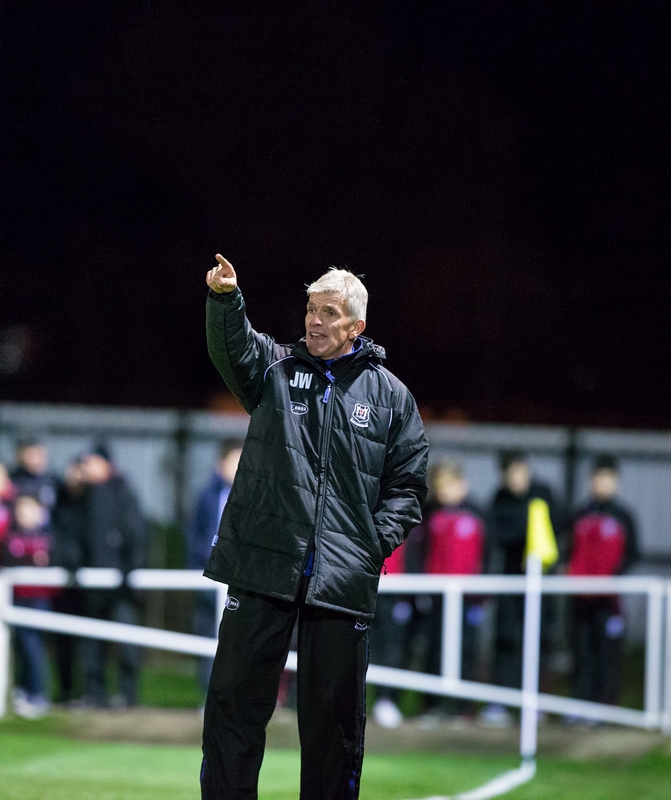 Weir insists he is paying little attention to what Elgin’s rivals are doing and is simply focused on ensuring they get their own house in order and start picking up points again. He said: “I’m not interested in what other teams are doing. If we can’t win our own games there’s no point in us looking elsewhere.